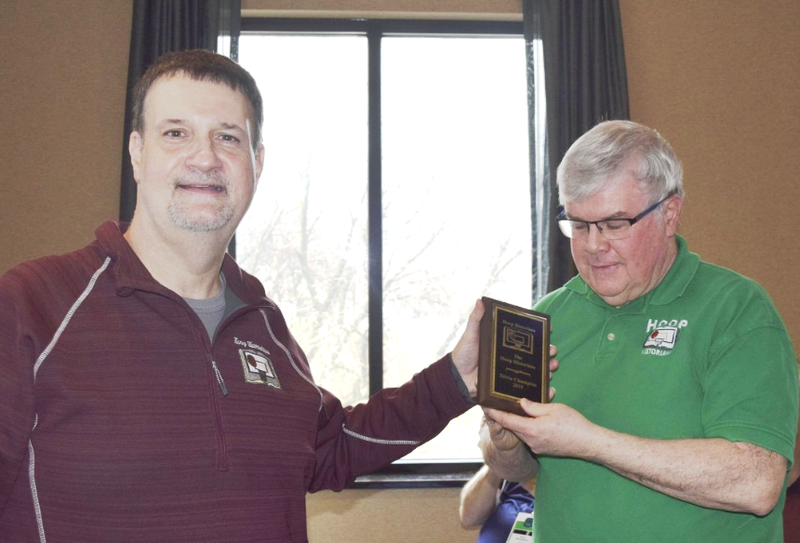 TOP RIGHT: Ted Reineking accepts the inaugural Hoop Historians Trivia Contest plaque from Quizmaster of Ceremonies Joe Spagnolo in 2018. 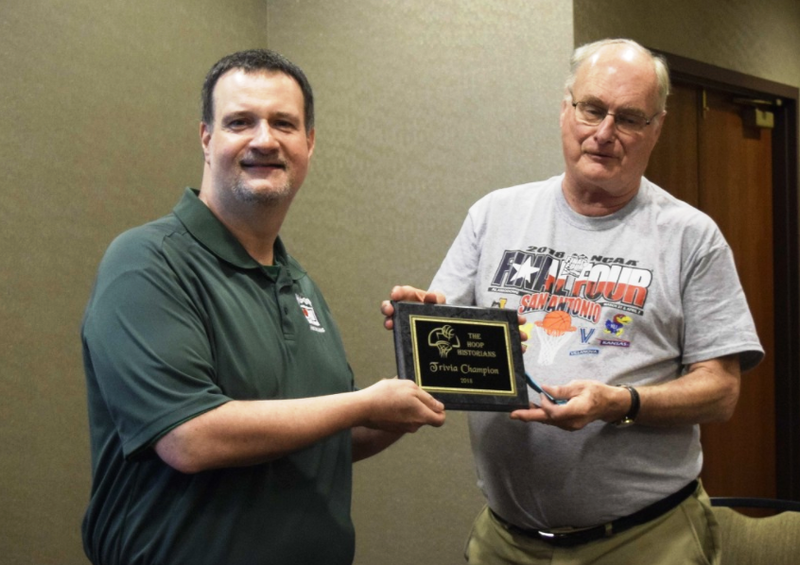 BOTTOM RIGHT: Kevin McCann was the winner of the 2nd Annual Hoop Historians Trivia Contest in 2019. 1. Who is the all-time leading scorer for these universities? A-Bradley; B-Cincinnati; C-Duke; D-Houston; E-Indiana State; F-Kansas; G-Kentucky; H-LSU; I-Navy; J-North Carolina; K-Princeton; L-UCLA. 2. Who is the all-time leading scorer from the NBA franchises? A-Boston Celtics; B-Chicago Bulls; C-Cleveland Cavaliers; D-Dallas Mavericks; E- Golden State Warriors; F-Houston Rockets; G-Los Angeles Lakers; H-Miami Heat; I-Milwaukee Bucks; J-New York Knicks; K-San Antonio Spurs; L-Utah Jazz. 3. What coach is the all-time winningest at these schools? A-Butler; B-Cincinnati; C-Clemson; D-Florida; E-Georgia; F-Iowa; G-Kansas; H-Kentucky; I-Louisville; J-LSU; K-Michigan State; L-North Carolina; M-Ohio State.